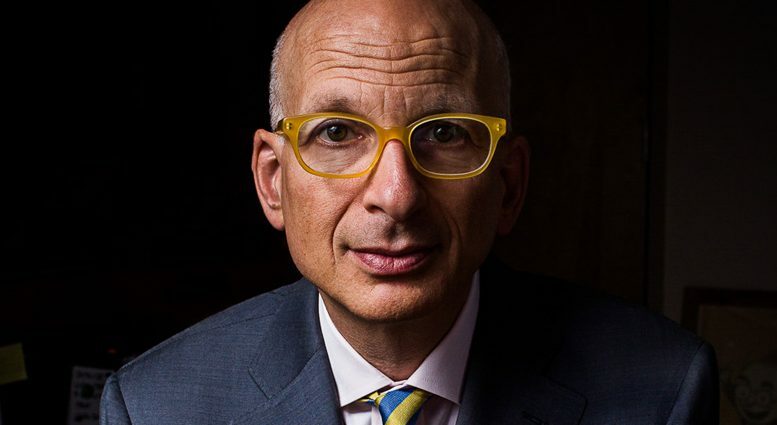 For the past few years Seth Godin has continued to be the top-of-mind business guru among marketing executives. Today I ask him a few questions about what he does, how he does it, and what some of his thoughts are on marketing research. Tom: Being the top of mind business guru among marketing executives continuously must be hard work. What is your secret? Where do you get your inspiration from? What are your favorite business authors, blogs, and publications? Seth: It’s not hard work, it’s consistent work, but a joy. I notice things, things that influence me or resonate with me, and then I write about them. Developing this habit isn’t easy, but once you do it, it sticks around for a while. I spend six or eight hours a day reading and watching and interacting… being an omnivore is a key part of the process. Tom: In a down economy such as this one, where do you think marketers can best invest their time and resources to maintain and grow their businesses? Seth: In down economies, the only thing that’s going to change things is changing things. This is hard for a lot of marketers who are used to defending the status quo, but it’s truly the best option. Tom: In one of our recent studies, many executive level marketers said that the buzz words they were most tired of hearing were “Web 2.0″, “Social Networks”, and “New Media”. Yet the relative importance of these marketing concepts did not decline. I believe they are important and part of the frustration lies in not having understood how to leverage them effectively yet. Do you agree? How do you think marketers could better leverage web 2.0/3.0 or whatever we end up calling it in the future? Seth: I’m sure that people are tired of these phrases, because they’ve become empty buzz words, not useful ways to grow your business. But, and this is the essential but, ignoring it just because a lot of people don’t understand it is self-defeating. I wrote Meatball Sundae to address this very issue. You will not thrive merely because you are the incumbent. You will thrive going forward because you embrace the new forms of communication, not because you turn your nose up at them. Tom: In market research one of the most important/strategic types of projects we engage in is customer segmentation. Some of these tend to be survey driven, others are done strictly based on CRM data, yet others, the ones we typically run involve a combination of survey research and data mining CRM data. Survey data tends to be better at creating 4-6 customer types and respective treatments while CRM data can technically be used to create a more personal 1-1 segmentation. However the latter is usually more difficult to act on at a strategic level. What is your view on customer segmentation? How should businesses best identify and manage against the needs of various customer groups? Seth: I think there are two conflicting forces at work here. First: treat different customers differently. Second: if you make your business too complex, your people will be unable to take responsibility for what they do because they don’t understand it. Small is the new big. No matter how big your business gets, you need to give individuals and small teams the ability to make a difference with whatever segment you describe. Tom: As data availability continues to increase, I believe the importance of identifying/filtering and analyzing relevant data can be a powerful way to gain an information advantage over our competition. On the other hand the importance of the irrational, or emotional component of customer behavior is also increasing in interest. Techniques for better analyzing and understanding emotion are beginning to also become more important in market research. How do you view the importance of these two types of consumer understanding? Is one more important than the other? Seth: Stories rule. Stories make us vote, or buy an iPod or give money to a charity. Stories trump science very time. Tom: What is your overall opinion on market research. What do you think we can do better to serve other parts of marketing and ultimately the customer? Seth: As long as market research is seen as a cost and a staff function, it will never meet its potential. Market research has to deliver practical home runs, insights that pay off far out of proportion of the expense and time invested. Tom: Thanks for your insights Seth. We’ll continue to practice our swinging. Be the first to comment on "Seth Godin talks to Tom H. C. Anderson about Marketing"